I can’t believe I haven’t posted since May! So much has been happening. My son and daughter (twins) left for college in September and I finished the rought draft of my novel THE FIELD featuring Eric Horton, the older brother of Marcie from INDIAN SUMMER. More on THE FIELD to come in another post. Here are some projects I’ve been working on. 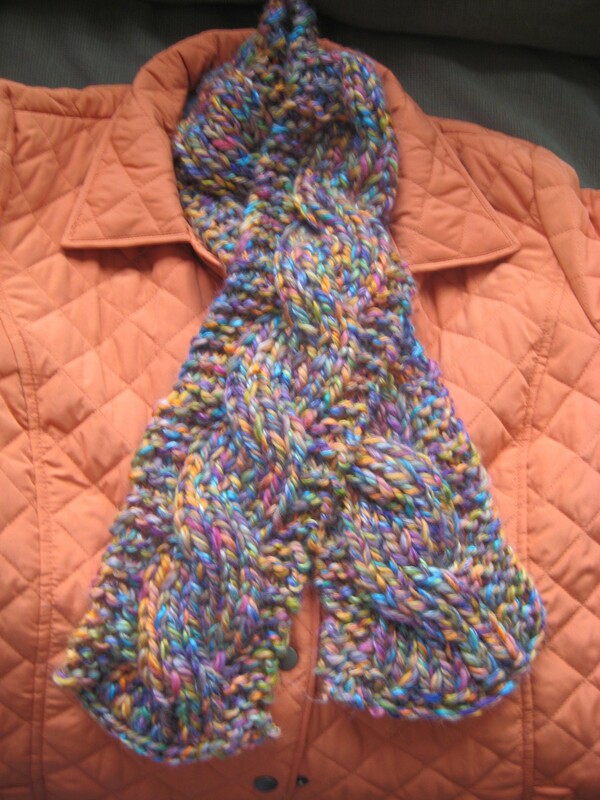 Santa brought me this jacket for Christmas and I knitted this scarf to go with it! Okay, I picked out the jacket myself and Mrs. Claus gave it to me! My new obsession is felting sweaters and making stuff with them. Felting involves washing old wool sweaters from Goodwill in very hot water so the fibers in the wool ‘felt’ together and make a fabric you can cut that won’t fray or unravel at the edges. 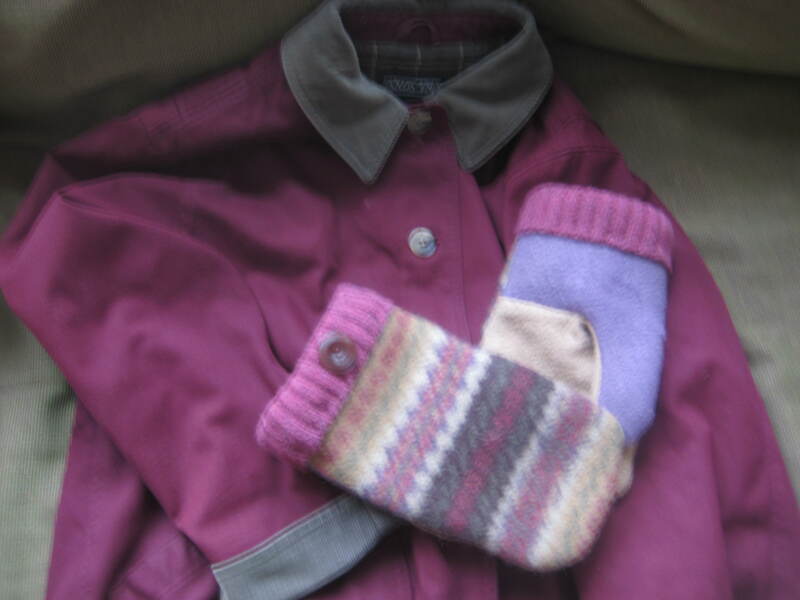 I made these mittens for my cousin, but don’t you think they match perfectly with my old Lands’ End jacket? I may have to keep them for myself! 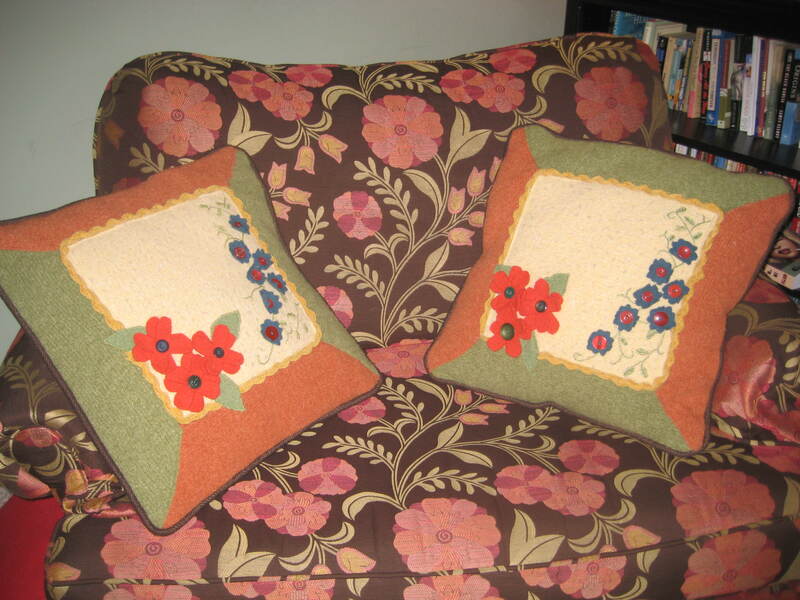 These are pillows I made from sweaters and rick-rack that I bought years ago at Tuesday Morning thinking that I would someday have a use for it. Having the kids go off for college was hard, but it’s the next stage for them and they’re having a great time! It also freed me up for my next stage in life! First step – take over the band room in the basement. I’ve transformed the space into my craft room. I can’t share pics at the moment as it is still a mess from various projects, but stay tuned! Craft on! Tracy, you have a real eye for design and color. The scarf is gorgeous and your pillows have inspired me to try something similar. Thanks for sharing your beautiful work! Thanks, Marcia! I do love color. You would be able to tell that if you are ever able to come to our house. I’m glad to be giving you ideas and inspiration! What are you going to work on?